We grab some popcorn on the way in. Maybe a drink. The place is bustling, bright lights lead the way, and the kids grab all the new objects at each turn. Another fun Saturday night about to begin. Yep, spending the weekend evening strolling the aisles of a big box store: family fun at its finest. It is crowded. We are clearly not the only ones who think a night on the town with the kids translates into a stop and shop for milk and new socks. The excursion does have some highlights – in particular, the self-checkout process. The 9-year-old loves to scan the items, bag them, and use the credit card as though she were paying. These machines are enticing, with the promise of efficiency and a way to avoid any chatty cashier – particularly the ones that announce the items as they are scanned. That self-checkout is a game changer when you make a quick run through the store with 1 to 2 items. But then the 11-year-old adds 2 bananas and an avocado to the cart. How do I figure out how to weigh and price check produce? Then the screen starts blaring, “please place items on the bagging area” when the items are all sitting in the right spot. Now the credit card doesn’t work. At these moments, the employees all seem to be on a vape break at the same time. The efficiency machine now hinders throughput. The line clogs up. These kiosks are in restaurants, at banks, airports, gas stations. Self-checkout is more like taking a selfie while walking down Times Square. Seems good in the moment, but the odds are pretty good you will stumble over a tourist. This work was coined shadow work in 1981, by Ivan Illich, a social critic. Craig Lambert wrote about shadow work, calling it “all the unpaid tasks we do on behalf of businesses and organizations.” Work that’s crept into our lives that we hardly notice. Scan, price check, bag, pay. No need for a cashier. This has crept into our lives for years. We just take it on. We are now tellers, waiters, travel agents, gas station attendants, and airline employees. I say all this because I find it’s clearly hit the hospital. I didn’t really notice it at first, but it seems to be getting worse. When we realize that only 20% or less of a shift is with the patient, where is the other 80%? A lot of walking, but mostly dealing with tasks that have been slowly thrust upon us. Just a few years ago, a printed H and P was placed in a physical chart, another tab contained all the recent labs, another flip with a written nursing communication of overnight events, next up a clear summary of diabetes data… flip, flip, flip. A quick scan led to an easy update on the patient. When I was in the room, if the patient and I agreed on a new medication plan, I would have the chart in my hands, and the patient would watch me write it down. Now when a patient asks for something, it’s a minor miracle if I can make to the computer safely to input that one new order. Inevitably, three people stop me for questions about other patients or a project. When I reach a computer, the EHR needs three reboots or loads slowly, and then I am paged about another patient. I can’t remember to place that Miralax order, and my patient thinks I want him to stay plugged up for the remainder of his life. In residency, I was frequently transporting patients, drawing blood, doing ECGs… whatever it took to get the work done. Thankfully, much of that work is distributed to the wonderful team that works together in the beehive of the hospital. Then how is it that physicians are frequently clerks, data entry diarists, data miners, and answering services? We type in all the orders, search for the documents, dictate a note, send memos to the PCP, search for physician office numbers, call answering services, hunt down old records. Do everything but sit down and talk with the patient. Cognitive load increases, and time for slow thinking disappears. I want to think more about the young woman with atypical chest pain, understand why a middle-aged man with no health issues has a new hepatitis, work out the abnormal electrolytes from my last admission. Who has time for that when I’m searching for a computer to work, trying to remember that CT head is found by ordering a “CT brain” and MRI brain requires typing “MR Hd”, or taking 10 minutes to find out if a patient had 1 or 2 units of blood since admission. Did you know that a physician invented the self-checkout machine? An ER doctor working on throughput. That ER doctor now goes through an average of 4000 clicks in a 10-hour shift. 4000 clicks! DIY in medicine has led to carpal tunnel syndrome. The computerized record requires a constant information pull. Why is it not pushed? Why can’t I easily know on my list who has VTE prophylaxis and who doesn’t? Or who has AM labs ordered and who doesn’t? It requires an intrepid traveler to find the details in the chart, and even then, the odds are high much remains unexplored. I worry every day that vital information was accidentally overlooked. How can we reduce our shadow work and free up the work that we want to accomplish? When I see the new Amazon store of the future, one where you can walk in, take your items off the shelf, and walk out, without any scanning, it seems like the future of seamlessness. We are not there yet in medicine. Seamless, easy, efficient. An ER doctor has helped the self-service economy. Amazon now thinks it will transform medicine. 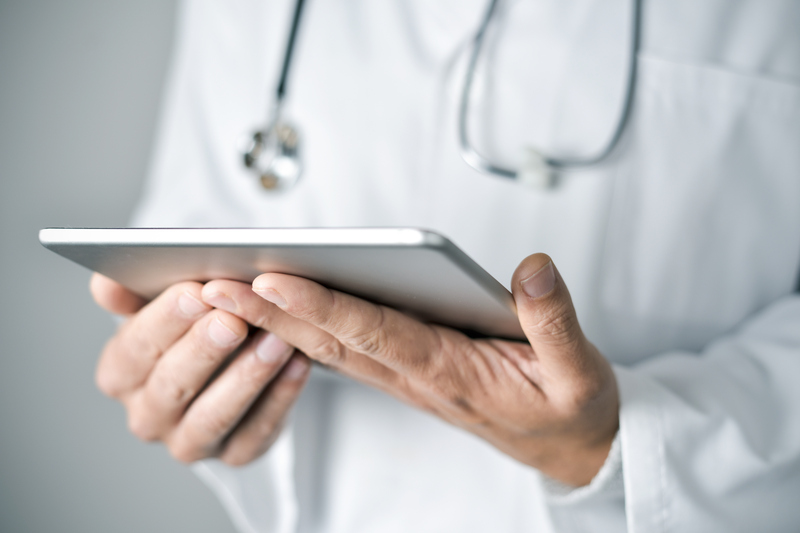 A recent study showed EHR improvement that can ease “click burden”, with better mobile solutions, pushed abnormal lab data, and a safety alert dashboard. I’m hopeful for an intuitive EMR with all the promised clinical decision support. Scribes are offloading work for many. I see flickers of hope watching teams work together in a microsystem, with everyone practicing to the top of their license. Reduced pages, improved communication, more work balancing and reduced duplicative work are beneficial side effects when done well. I think it’s going to be up to us to step in and recognize we’ve had enough of this shadow work. We want to be in front of patients and families. We want to be talking face to face with our nursing and pharmacy colleagues. Let’s step out of the shadows. I’m an old guy. Shadow work was always there. One guarantee of abuse from the attending physician at morning report after night call would be failure to adequately review an old record on the patient admitted while you were on call the night before. Too often those records arrived on the ward by forklift from the record room. Those of us trained during that era got adept at reading discharge summaries that were a whole lot better than our residents dictate now, which would become an index of what tests were done, then turn to the lab or x-ray reports. In a pinch, we would even go to the xray department where the films were kept in a folder, sorted by type, and sequenced by date. The computer does this for us. If I want to see a trend in cbc’s or glucose’s it’s right there. If I want to know if there is a previous ct scan that might show the adrenal mass present now, it’s become a snap to find. Patients of the past era also needed their laxatives, sleep agents and Tylenol at a time when you were someplace else tending to a fever, which in those days required you to be at the bedside examining the patient. A lot of time was spent writing notes, longhand like Thomas Jefferson did, without a copy&paste to make those notes fast but false. We called pharmacies, answered the pages of the people who were not on call, phoned the outpatient source of care when we needed to, got med lists from the pharmacy. Except it was considered part of history taking, not an intrusion on the daily discharge planning conference. Really the same tasks, just repackaged and requiring more of an investment in our time and energy.